Regardless of the scale of your business, maximise your sales by selling in–store, online, and on–the–go with our beautifully designed point of sale software and ecommerce solution. Your data is securely stored in the cloud. Management console is accessible through web browser or any tablet (iOS & Android) only by you with login and password. Be aware of your sales, inventory and finances from anywhere in the world. 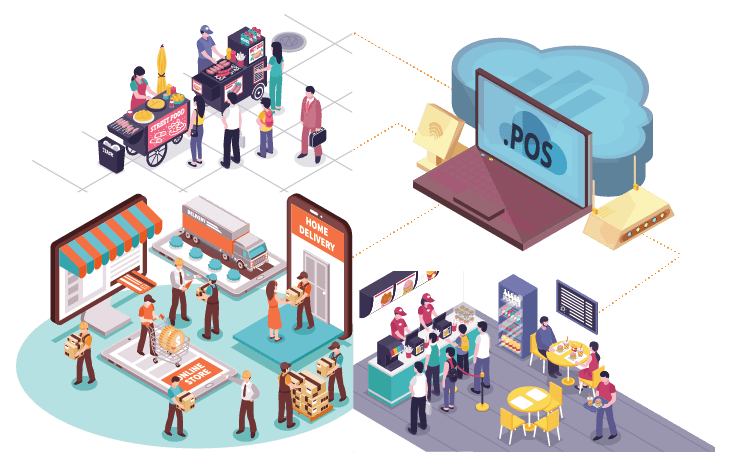 .POS is a self-hosted beautifully designed point of sale software. You own your data with no monthly fees. Build your customer database, grow repeat business through built-in Customer Relationship Management. Use any installed WooCommerce gateway. dotPOS makes it easy for you to get paid. Intuitive product stocktake ensuring you never have too much or too little stock on your shelves. Besides fast product search, use the barcode hotkey to switch between barcode and normal search. Create multiple stores with multiple tax rates and custom receipts under one centralised system. Keep your finger on the pulse of your online shop for free. With WooCommerce iOS, your shop catalog and performance reports are readily available on your iPhone. Quickly accessible and beautifully presented. Get in touch, or try out our demo. We are always looking out for the freshest idea & latest technology. 11 Beach Road, #03-01 Crasco Building, Singapore 189675. 173-J, Sempadan Tiga off Boundry Road, 11400 Penang. © 2017 Calvin Seng Co Pte Ltd (201708347K).